BIO: Douglas Starr is co-director of the graduate Program in Science and Medical Journalism at Boston University. 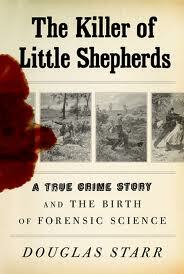 His most recent book, The Killer of Little Shepherds: A True Crime Story and the Birth of Forensic Science, tells the story of the 19th century pioneers of forensic science and the notorious serial killer who was caught and convicted with their new scientific techniques. Published in several languages, the book won Gold Dagger award in the U.K., was a finalist for the Edgar Allen Poe award in the U.S., and was an “Editor’s Choice” in the New York Times Book Review. Starr’s previous book, BLOOD: An Epic History of Medicine and Commerce, tells the four-century saga of how human blood became a commodity -– from the first experimental transfusions in the 17th century, through the collection and mobilization of blood in modern wars, to a tragic denouement during the AIDS epidemic. 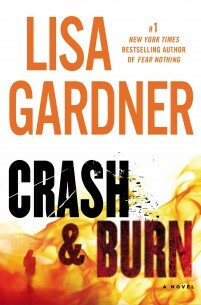 The book was published in seven languages, won the Los Angeles Times Book Prize (science and technology category) and was named to the “Best Books of the Year” lists of Publishers Weekly, Booklist and Library Journal. A PBS series based on the book, Red Gold, aired on more than 300 PBS stations in the U.S. and internationally. Starr’s writings about science, medicine, public health and the environment have appeared in The New Yorker, Slate, Discover, The New Republic, Science, Smithsonian, Public Television, National Public Radio, The Los Angeles Times, Sports Illustrated, The Christian Science Monitor, Boston Sunday Globe Magazine and other media outlets. Prof. Starr lectures on the subjects of his books and on broader questions of science in the mass media, science and ethics, and the history of science. He has appeared as a commentator on ABC’s Nightline, the BBC, CNN and NPR. He has lectured at venues as diverse as Harvard Medical School, Yale Medical School, the Royal College of Physicians in London, the U.S. Department of Justice; and at book festivals, corporate functions and scientific and public health colloquia in the U.S., Canada, Europe and Australia. 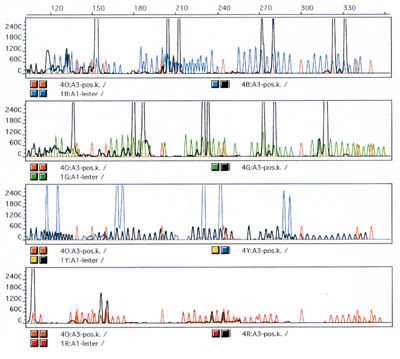 Here is an amazing and convoluted story that involves good police work and clever DNA testing, including the use of old and very small samples and familial DNA techniques (instrumental in identifying the serial killer known as the Grim Sleeper). More proof that criminals can run but they can’t hide. Not for long anyway. Back in November, 2014, fishermen in the Philippines hooked a large tiger shark. Not all that uncommon. But what they found inside was very unusual. 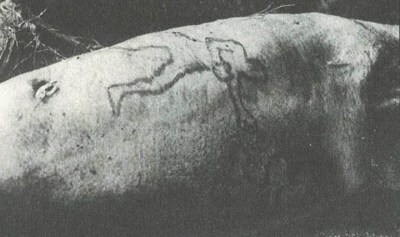 A human head and leg. Some believe the victim had been a passenger on the MV Maharlika 2 ferry that sank near Leyte a few weeks earlier on September 13th. 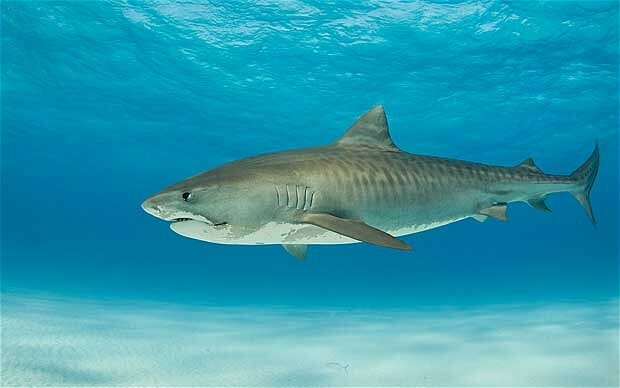 It was a tiger shark that took the arm of surfer Bethany Hamilton several years ago. But the attack didn’t run this brave young woman out of the water though as she continues to be an active, competitive surfer. 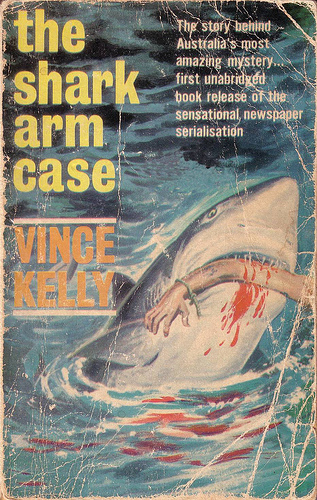 This incident reminded me of the famous and fascinating 1935 Shark Arm Case in Australia. One that involved, forgery, blackmail, and murder and one where the shark was another innocent victim. The case was convoluted and confusing and raised many questions—-not the least of which was ”what constitutes a body?” Is an arm enough to say that a person was indeed dead? In April 1935, two fishermen caught a large tiger shark off the coast of Sydney, Australia, and donated the creature to a local aquarium. A few days later the shark regurgitated a well-preserved, muscular, Caucasian human arm. The shark was sacrificed and an autopsy was performed, but no more human remains were found. The arm appeared to have been removed by a knife rather than by the shark’s teeth. Further, the knife wounds appeared to have occurred postmortem. The arm bore a tattoo of two boxers squaring off. Through meticulous work, fingerprints were obtained, and they indicated that the victim was James Smith, an ex-boxer with a criminal past. His wife identified the tattoo. Further investigation led the police to Patrick Brady, a known forger and drug-trafficker, who had gone on a fishing trip with the victim just before his disappearance. Police theorized that Brady killed Smith, hacked him to pieces, and stuffed his remains into a trunk that was missing from the fishing shack the two men had shared. Smith’s arm must have slipped free in the water and been swallowed by the shark. Under questioning, Brady implicated another man named Reginald Holmes, who was himself shot to death the day before the inquest into Smith’s death was to begin. Brady’s attorneys obtained an injunction from the court, halting the inquest on the grounds that an arm was not sufficient evidence to bring murder charges. The police charged Brady with murder anyway, but a jury, likely influenced by the court ruling, acquitted him. 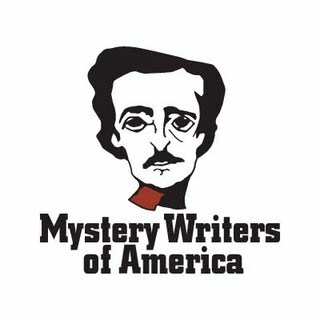 Mystery Writers of America is proud to announce, as we celebrate the 206th anniversary of the birth of Edgar Allan Poe, the Nominees for the 2015 Edgar Allan Poe Awards, honoring the best in mystery fiction, non-fiction and television published or produced in 2014. The Edgar® Awards will be presented to the winners at our 69th Gala Banquet, Wednesday, April 29, 2015 at the Grand Hyatt Hotel, New York City. 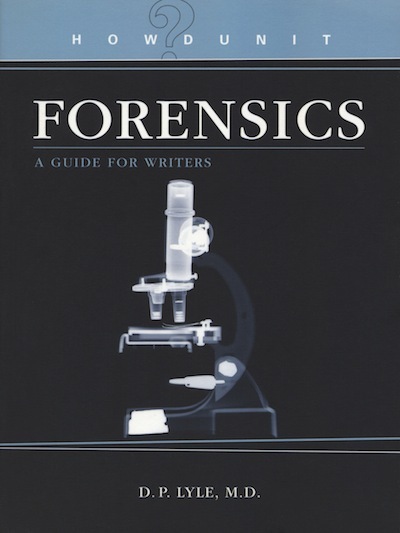 On Crime and Science Radio Saturday, January 17th and 10 a.m. Pacific Time, DP Lyle and Jan Burke will welcome special guest criminal profiler Mark Safarik and discuss what makes the bad guys tick. BIO: Mark Safarik was a senior member of the Federal Bureau of Investigation’s elite Behavioral Analysis Unit, during which time he established himself as an internationally recognized expert in the analysis and interpretation of violent criminal behavior. Mr. Safarik’s law enforcement career spans over 30 years, during which time he worked in all levels of police work, from working patrol as a beat cop to investigating murders as a detective. But the defining moments in Mr. Safarik’s professional life came during his 23 years with the FBI, where he spent over half that time as a criminal profiler. Mr. Safarik led the consultation efforts on many high profile national and international violent crime cases and lectured at numerous foreign police forces around the world, sharing his expertise in the analysis of homicide and complex crime scene behavior. Mr. Safarik has a graduate degree from Boston University and is an adjunct faculty member at Boston College. He is a lecturer at the University of Pennsylvania, a faculty member of the Armed Forces Institute of Pathology and an advisory board member at the Wecht Institute of Forensic Science and Law. He has conducted internationally renowned research on the sexual assault and homicide of elder females and received the prestigious Jefferson Medal from the University of Virginia for this groundbreaking work. He was presented with the Silver Medal from The Spanish Society of Criminology and Forensic Science, the first non-European to receive this honor. He is a member of the highly respected Vidocq Society, a criminological group that donates its investigative resources to solving cold case homicides. He is well-published in international journals, including the Journal of Forensic Sciences, International Journal of Homicide Studies. He has appeared on Dateline, Court TV, Forensic Files, New Detectives, MSNBC and The Discovery Channel to discuss his cases and analyses. His television series, Killer Instinct, is currently airing on the Biography Channel. Since 2008 he has been a consultant for the popular television series CSI: Las Vegas and Bones. 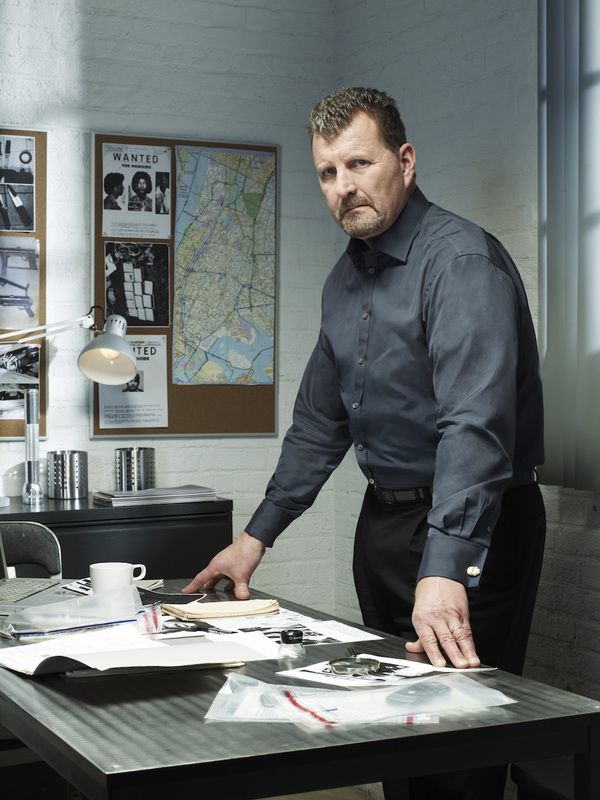 He has a new Cold Case Homicide show airing in 2015 in Sweden and begins filming a new Unsolved Homicide in Denmark in 2015. 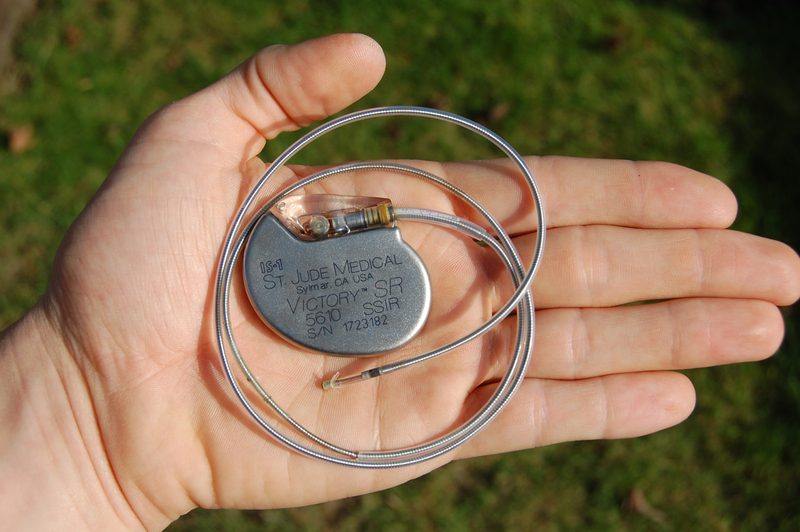 Pacemakers can be hacked but that’s not news. We’ve known that for a while. Newer models are even easier to hack than were the older models. Progress being what it is. 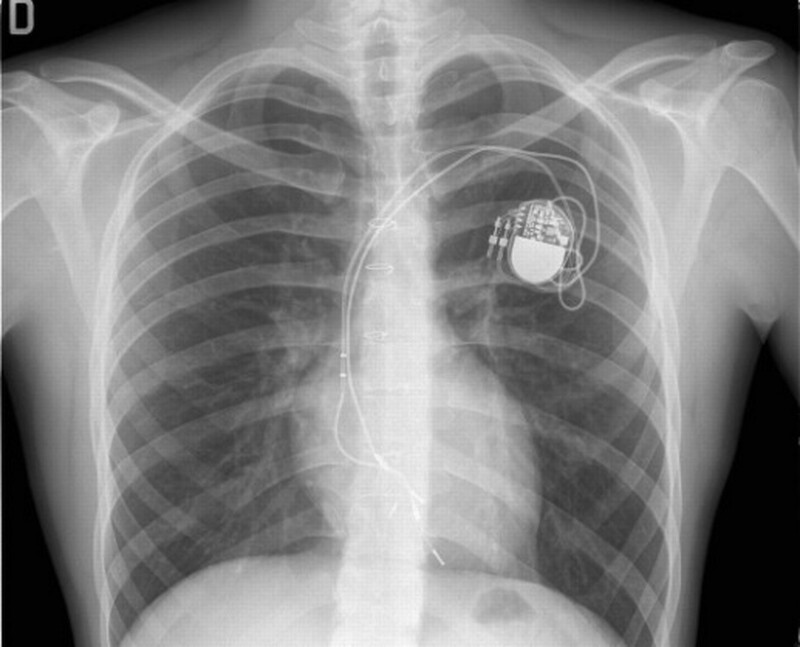 Most pacemakers are interrogated and adjusted in the doctor’s office or the Pacemaker Clinic by placing a “wand” over the pacemaker and then using an attached computer to retrieve data stored inside and/or change the parameters of the pacemaker—-changing sensing, pacing thresholds and rates, that sort of thing. Many newer models allow for more remote access—-from several feet away. Think “blue tooth” for a pacemaker. This more “remote” access allows for hacking to take place without direct contact with the patient. The pacemaker can be changed, even turned off, which in someone who is “pacemaker dependent” for their heartbeats can be catastrophic, even deadly. 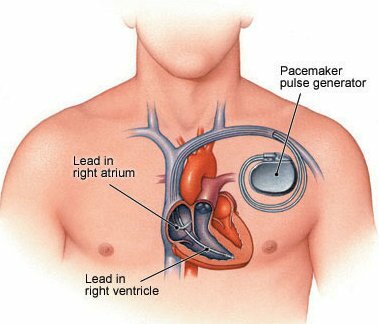 Fortunately most pacemaker recipients are NOT pacer dependent so even if the device is turned off they would still do fine. Maybe a bit weak, tired, and dizzy, but not dead from heart stoppage. Now it seems that, though this can still be done, traces are left behind. Makes getting away with such tampering more difficult. Guess you crime writers will have to find another way to off your characters who have pacemakers.